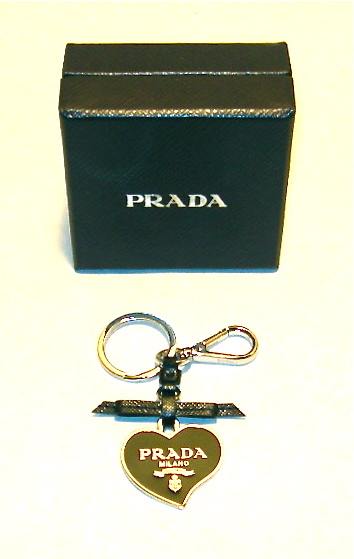 Black enameled silver heart with logo, leather bow, and Prada stamped silver hardware; original box with Prada printed microfiber pillow and Prada printed lining. Heart measures 1.5″ x 1.5″. New/never been used.